With palabok as its specialty, Neri’s Restaurant was started in 1985 by Neri and Romy, both accountants by profession. 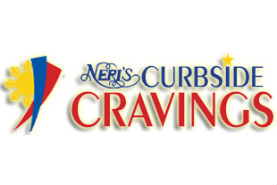 For the past 26 years, Neri’s Restaurant has become well-known for its puto, kutsinta and other native snacks and delicacies. Its varied clientele has been coming back for its chicken and pork BBQ, kare-kare, baked halibut and, most recently, its latest big hit – their original “Crispy Dinuguan.” Neri’s great food at great prices, plus top-rate service, has made their restaurant one of the most sought-after caterers in town and one of Los Angeles’s long established Filipino restaurant. Law Offices of Kenneth U. Reyes, P.C.